Anyone for a day out at the Polo? Calling all Brisbane socialites...or those who'd like to spend a day in the life. 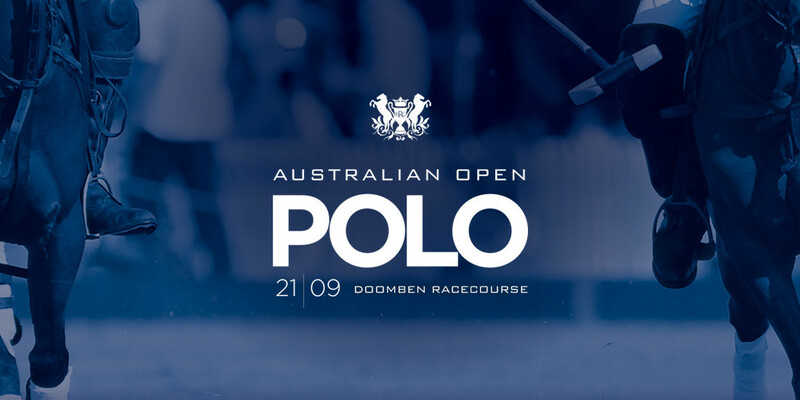 The Australian Open Polo will be taking place this weekend on Sunday the 21st of September at the Doomben Polo Fields, and promises to be just the glamorous social event to perfectly welcome in spring. Witness all of the action from one of the many ticket packages on offer to suit all budgets. Although tickets have sold out for two of the packages, The Sanctuary, and the Chalets, there are still plenty of options available. For $695 per space, you and ten friends can picnic, and/or pre-order food and drink, in a field-side space in the Wolf Blass Neighbourhood. Or, for $70pp, enjoy exclusive access to the Pimms Cocktail Bar, and Pamper Lounge, whilst relaxing in The Peroni Polo Lounge Marquee. If champagne, seated three-course meals, and canapés on arrival is more your style however, why not treat yourself to a day in the Bollinger VIP Marquee for $220pp. However you choose to spend it, The Australian Open Polo promises to provide a fun-filled day out. With 3 action packed polo matches to enjoy, a traditional 'divot stomp,' and raffles and prizes throughout the day, what better way to spend a Sunday than to treat the 'pretty woman' inside all of us. Tickets are fast selling out, so head online for more information or to get yours now, at the Brisbane Racing Club website.